I have found a few more Christmas freebies and a nonfiction freebie I want to share with you. 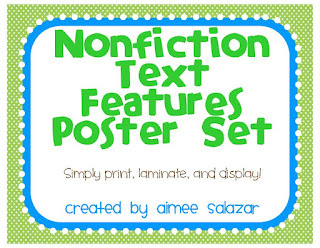 We have been discussing nonfiction text features this week and I found a great freebie to show my kiddos! This is a cute little activity. The kiddos read the poem and try to figure out the last word of each line. 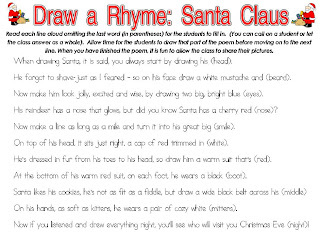 They can then draw a picture of each word as they go and at the end they will have made a Santa. Love this idea! 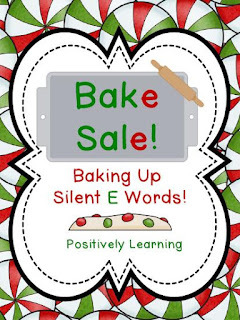 These cookies are a great way to review silent e words. This will be a fun way to practice reading and spelling those tricky words this week! 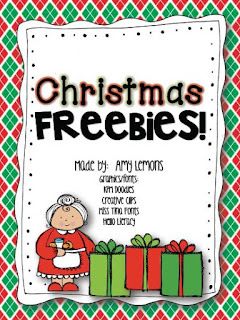 This is another great freebie from Amy Lemons! She has several fun Christmas activities in here. We have been learning about nonfiction text features in my class so I have been looking for nonfiction activities. As I was searching I found these great posters! This shows my kiddos exactly what I'm talking about when discussing nonfiction texts. We only have 3 more weeks of school before Christmas break, but who's counting? !